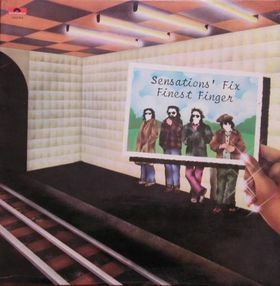 Sensations’ Fix is a project of Franco Falsini. 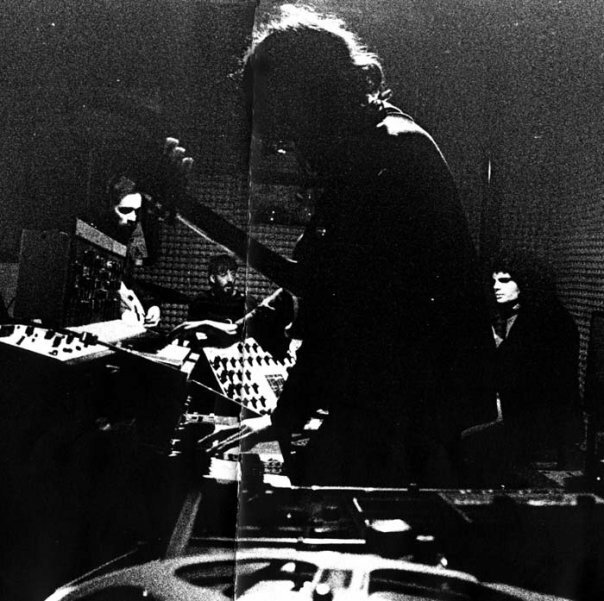 They released a couple of really amazing space/electronic albums back in the 70’s. 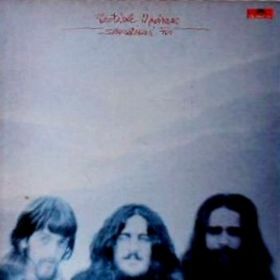 Franco also released a solo album called Cold Nose back in 1975. In this interview we talked about the whole history of the band from the start till these days. Enjoy. Hi Franco, how are you? I’m really glad we can talk about your band. Firstly I would like to ask you about your childhood. Where did you grew up and what were some of the influences? 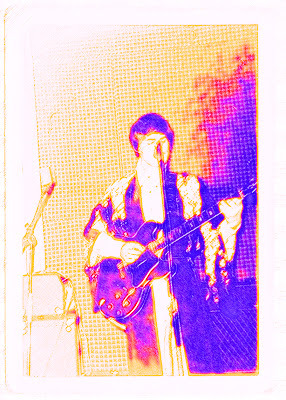 I grew up in Florence and started to play guitar at the age of 16 doing covers of the records my sister was shipping me from England where the music those days was really happening. If I’m not wrong your first band was Noi Tre. Tell us about it…You released two albums, right? Tell me how was your English experience? I lived for almost one year in London where I was hanging out at the Marquee, making friends with a lot good musicians. At the Marquee they were heavily into blues and in there I saw some of the best guitarists. I remember when Jethro Tull played the first time there and I managed to talk to Jon Anderson, he wasn’t famous yet, but it didn’t take much to me to understand that he and his band will become big. With them I went to Birmingham where they played as support for Cream, one of my favoured bands. I still remember Mick Abrahams in their Bedford van, showing me what a good action his guitar had. 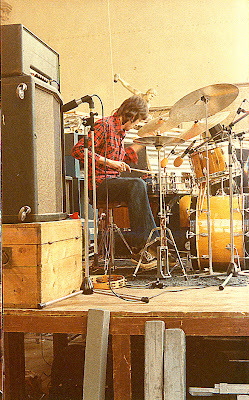 In London with Dave Anderson on bass and Chris on drums, I formed Flying. A 3 piece band jamming on blues. With them I came back to Italy and while playing at the Red Garter, a tourist hotspot in Florence, I met Vinnie Sherman working as a waitress, after her money had been stolen when arriving to town. the women that later on I will married and with whom I planned to go to America. I was only for a short period in Le Madri and that started after Flying broke up and Dave and Cris went back to England. Le Madri was a project by the owners of Space Electronic, a group of architects that had turn this 2 floor garage into a successful fancy venue where a lot of good artists were performing. 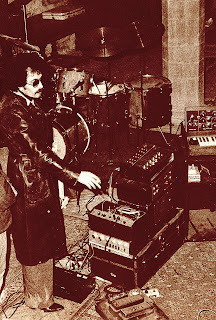 Those guys were responsible to bring Van Der Graf Generator and Hawkwind in Italy their first time. 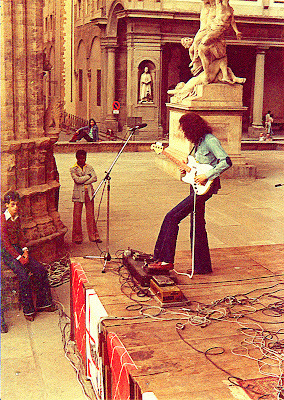 Me and the drummer, part of the original band, were no longer in Florence when the recording happened. Giorgio, the original drummer came also to America, not so much to play but to finish his study in New York. 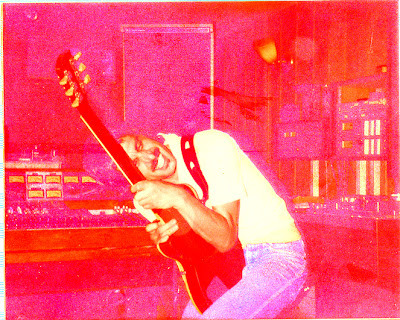 Flavio Cucchi, another friend and extremely good guitarist that had been in the band afterward told me that after another call from RCA with the same demo approach. Their experiences turned out to be a disaster too. 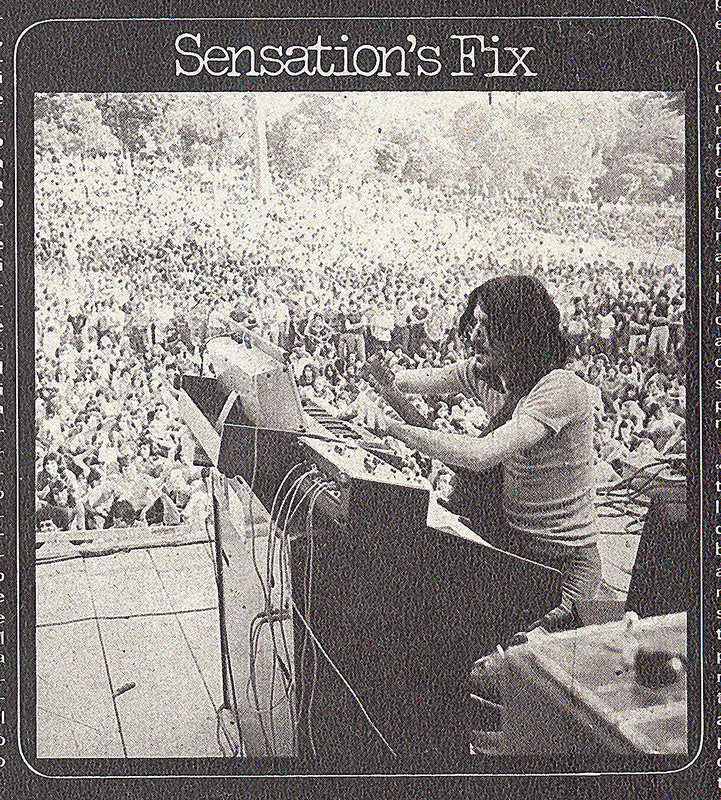 So around early 70’s Sensations’ Fix was formed. How did you came together to form it? I arrived in America the 15th August 1969, the day that Woodstock started but…I didn’t go to the festival. My mother in law was dying of cancer and those were her last days. I remember playing guitar for her, she had remarks on my accent, but like the sense of hope of the music I played to her on an acoustic guitar. I met Keith Edwards in the record shop he was working. He was a great drummer and had a wide musical knowledge. He was the one who turn me on to LSD, that night I was jamming with him in a farmhouse where a bunch of hippies were living. He was surprise that I couldn’t function on that condition, but for me the whole scene was to study. I didn’t want to get waisted like many others. Little time later me and Keith were playing and living together in a big house in Alexandria.We formed a band “Sally Duck” with Jamie Wilson on bass and a wizard on electronics Carl Grossman, a freaky guitar player that could learn musical parts on the fly. On the basement of the house I managed to put together something were we could record our experiences with Jamie. We had modified a 4 track Teac to give it a sync capabilities way before the company realized the future of multitrack on a large consumer scale. 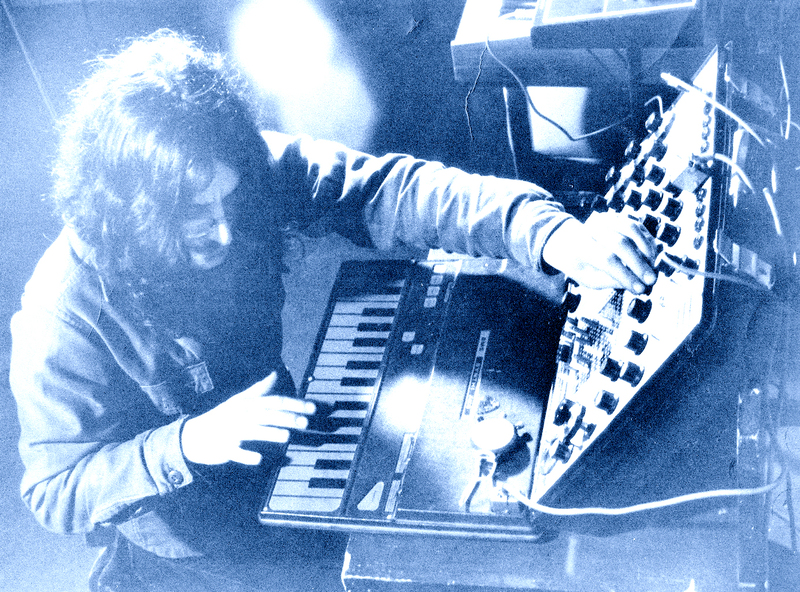 Also with his help I was able to get a MiniMoog before it came out officialy on the market. 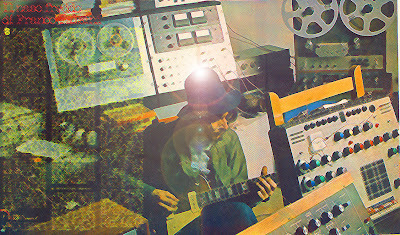 I was obsessed to go beyond the sound of the guitar, but there weren’t so many choices beside the distortion and echoplex, so the Moog came out at a perfect time, it was the missing link of the sound knockin on my head. Our band was performing mostly out in woods where we would bring our instruments and play for hours without ever stopping. This kind of attitude and the fact that the house was always full with people turn us into a cult band amongst the kids in the area. But tighten up the control of the local police. I was always keeping a low profile as I was struggling to find any possible alternatives to use of substances from egg machines to form of meditation, but Keith was working in a shop selling drug called paraphenalia and was exposed to get in trouble. In fact, one day after police bust a Tracker’s Stop, the place he was working, he was arrested because some clients had left on the floor a bag full of grass. I had to bail him out of jail and went trough a lot to prove his innocence. I went back to Europe for awhile and England was always a good place to regain music equilibrium. 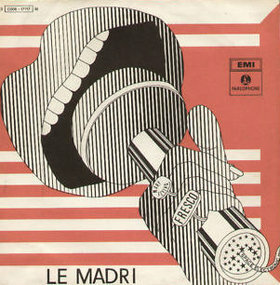 In London I met David, an Italian promoter that was doing business with a small label for krautrock called “Virgin”. Some of the cassettes brought from the American basement session were submitted to them. Then I meet Simon Draper from whom I got his friendly advice to submit the same tapes to some Italian labels. The people at Virgin were really nice. They were on a strike of success that will soon turn them into one of the most influential label of our modern age, not only I got all their excitement but I was also able to be in their guestlist at some of the concert they were sponsoring, were I remember seeing Faust and Can. The tapes did end up in the office of Polydor in Italy , but I received no reply. After coming back to America, big problems started to happening at the house. Sally Duck broke up and everyone had different planes. I had become father and I was working on 9 to 5 job making braces for handicapped people, but still playing all night with very little sleep, so I decided to go back to Italy . I shipped a container full of equipment, and it was not easy to explain to custom that all that stuff was personal a lot of the merit for this, has to be given to the owners of Space Electronic’. Their venue was even bigger then when I left and in there I was booked to play as one man band, using the nickname of a famous medieval italian painter “Paolo Uccello”. Suddenly I received a phone call from the A.R of Polydor. The company finally heard the tapes and in a business meeting in Milan after showing them the latest sound developments, they proposed me a 5 year contract. I signed the agreement thinking that the tapes I submitted were just demos and started to put together a band to eventually record the albums at Polydor Studios. Keith Edward flew in from Virginia and another American guy that was living in Italy Richard Ursillo was selected to play bass, to complete the 3 piece band that started to perform as Sensations Fix To practice and record without problems created by the loud volume, the band went to live out in a country, miles away from Florence. 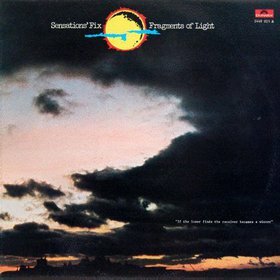 Your debut LP is called Fragments of Light. 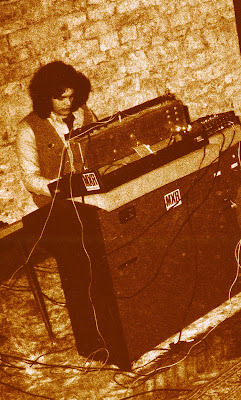 You were a lot more into exploring “space” then other Italian prog bands. 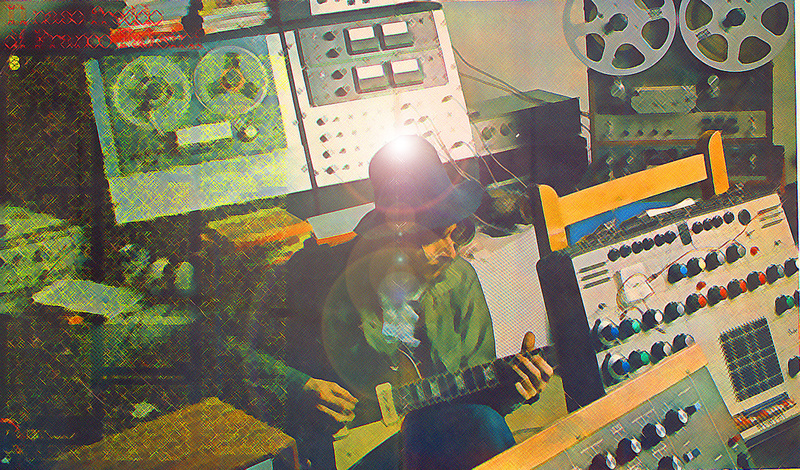 What are some of the strongest memories from producing and releasing this LP and what is the concept behind it? Actually all happened because Polydor turned those demo tapes that I left them into 2 albums, one is Fragments and the another one is a record that was used as background sound in radio and TV program and never placed in commerce. Those tapes were actual fragments of the 2 years music experience described above. As for the term progressive: to me it means music that evolves without the verse-chorus-verse used in pop or rock, while the space is a tool to measure how far you can go with your mind. the re-master of Fragments will be able available on I Tunes shortly since I’m taking care myself of the digital distribution. So you the relationship with Polydor was not very good? With them all I can recall are problems. They though we were just a bunch of drug addict, to be kept at distance and we were kept out of the studios with an excuse “the smoke was hurting the machine” as their engineers were saying. For this reason I ended up signing a contract where they only had the right to press 6 of my project to be given to them in a 5 years span, without an exclusive on the name, nor on my work. In fact when I released Vision Fugitives for all Ears, they could’t do anything, that became a trademark for the band….. I only sold them the final mix of what they will press The multitrack of the original recording it is still mine so I can remix and release older tracks without their permission, while Universal that now holds all the Polydor catalog, can be taken to court for all the releases done without my permission. If peoples are looking for older records they should look up for some remastered work that I did for Cold Nose. Spectrum Spool a label directed by John Elliot of Emeralds will put that out mid march. Then a compilation called Music is a painting in the Air will be issued by RVNG a New York based label that has already released some of Harald Grosskopf past material. 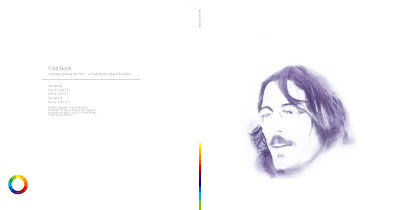 What can you say about beautiful cover artwork? We were poor, and this guy that was fronting the money, Filippo Milani that had become our producer was a real good fashion photographer with very good people working for him taking pictures all the times. The covers are his merit, unfortunally he was not into the life nor the sound of the band and our relationship ended up when I realize that for him we were just another gadget to show. Same year as your debut you released Portable Madness. What’s the story about it? That was the first real group effort, the sound was what the band was playing live musical event were unfolding to form a long suite. 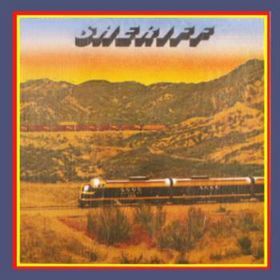 In the record, tracks are divided by names, but the dividers are such that don’t stop the listening with a pause like they normally do on records. We needed the release of the album to get booked and for this reason considering that I wanted to get rid of the agreement with Polydor as fast as I could. A lot the releases turned out to be squeezed in a short period. Around this period you also started recording your own album called Cold Nose (Naso Freddo). What can you tell me about it? The producer Filippo Milani had a big interest in movies and was experimenting in short stories. He done this half hour movie, using a 16 mm camera, about a person sniffing cocaine, the movie was actually against its usage, showing the different levels of paranoia chronic users might achieve, there were no words and I was asked to make the music and to synchronize its speed with the movie scenes. Polydor saw the movie, like the music and reclaim his 3 album. so after one year my contract with them was half way trough. You released several other albums among them Finest Finger, where you added a second keyboardist named Steve Head. Why did you decided for another player? and to capture that feeling was not just buying expensive gears, but the right one. and to include new versions of some of the track of the All Ears release. 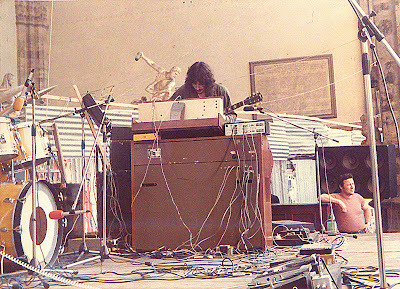 The recording were done in Milan and after that me and Keith went back to the States, and kept working at Willow Mill studio were Sheriff was recorded. he would print the record we were working on. He was heavily influenced from the fact that back then name such sheriff or police could have been used successfully.. We had already sold most of our equipment in order to survive and needed a record to ignite some lives at the local level so we decided to go for it. Actually that was the last Sensations Fix recording with the original lineup, and minimal overdub. 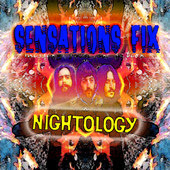 The album is out now on digital distribution as a Sensations Fix release named Nightology. 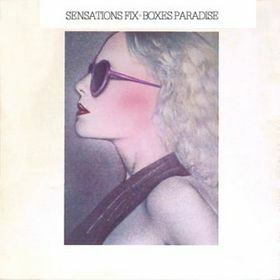 Did Sensation’s Fix toured? With who all did you play? Paolo Tofani and Demetrio Stratos of Area, we were also friends. Any crazy stories you would like to share with us? I prefer no to add anything more. I’m on the process on getting my green card again. What are you doing these days, Franco? Thank you! Would you like to send a message to It’s Psychedelic Baby readers? We can change the world without anyone noticing the difference.